Monday morning get $#%@ done outfit. Black & blue for the win! 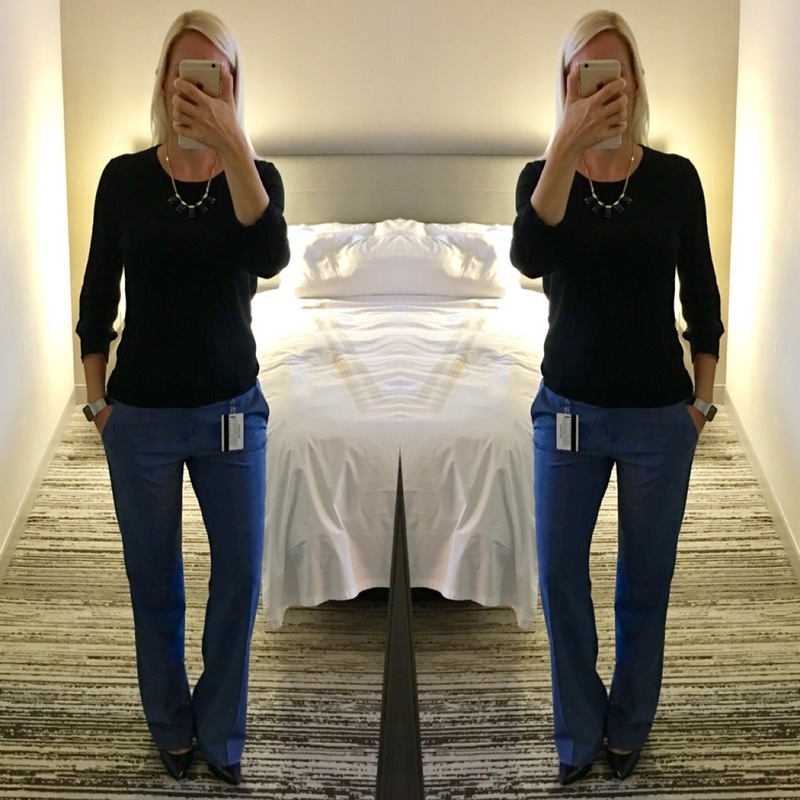 New comfy fun blue trousers from Banana Republic (on sale!). I’ve been wearing lots of ankle pants lately and I forgot I feel taller & leaner in boot cut trousers. Yay for hiding the extra lbs I’ve been putting on with tons of travel food and nonexistent exercise schedule! MK, I was SO hoping that you’d pick up the blue pants from Banana Republic and show them here, so I could decide if I should get them. Thank you! They look great! I have been looking for a black pullover sweater. Do you have a favorite go-to? 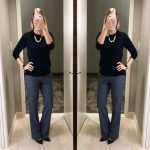 I really like Banana Republic pants, they’re really the only thing I can wear for work! 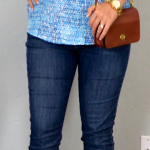 Super-flattering look! 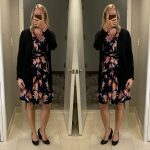 Love your posts!